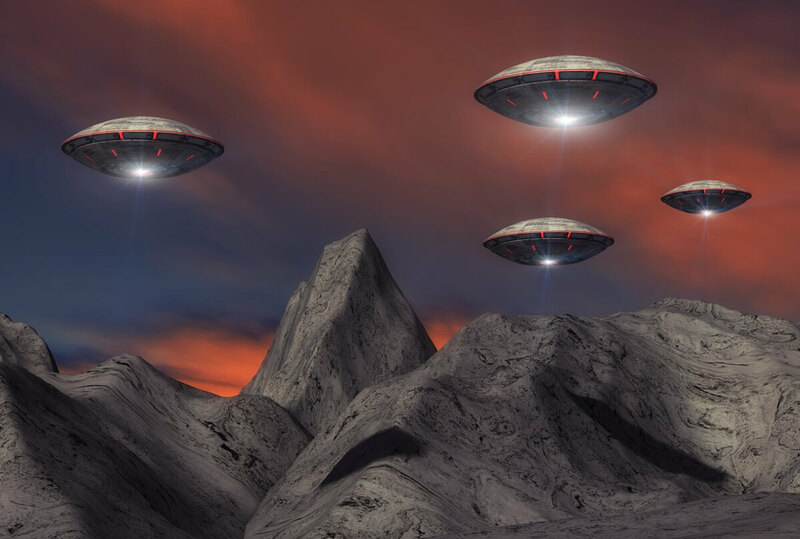 Home » How Would Humanity React If We Really Found Aliens? If aliens reach out to us, what would happen first? It’s a question that has puzzled science-fiction fans and scientists alike for decades, and we already may have a hint of how people will react. On Oct. 30, 1938, a dramatized version of the 1898 H.G. Wells novel “The War of the Worlds” played on the CBS Radio system across the United States. The story details how Martians attacked Earth. The radio broadcast caused a reaction when people mistook it for a real radio report, but accounts vary as to how much of a reaction there was. Some accounts describe nationwide panic, while others say not very many people actually listened to the broadcast. The promise of alien life stars in Episode 1 of “AMC Visionaries: James Cameron’s Story of Science Fiction,” which debuts on AMC tonight. Still, Search for Extraterrestrial Intelligence (SETI) researcher Duncan Forgan told Space.com the “War of the Worlds” broadcast may be instructive to think about as SETI scientists worldwide update their “first contact” protocols. “If you pick the right science fiction — the hard science fiction — it’s placed in the best possible educated guesses about what will happen,” said Forgan, who is a research fellow at the University of St Andrews in Scotland. He explained that “hard” science fiction refers to science fiction that emphasizes accuracy (think the 2015 movie “The Martian,” for example). If researchers find a signal today, Forgan said, one of the things they will have to manage is a public used to getting constant news updates on Twitter and other forms of social media. It’s something Forgan and his colleagues are already working on. The International Academy of Astronautics SETI Permanent Committee created a post-detection protocol in 1989 that was slightly updated in 2010; a new update is starting soon and should be finished in a few years, Forgan said. Famed directors James Cameron and Ridley Scott talk aliens in “AMC Visionaries: James Cameron’s Story of Science Fiction,” which premieres on AMC on April 30. For the most part, scientists assume alien contact would happen through a signal purposely sent toward Earth. The “acid test” is to make sure the signal is verified by multiple observatories, said SETI Institute senior astronomer Seth Shostak. “It would take a while to verify, and then the people who like to think about these matters say you would have a press conference and announce this to the world,” he said, but he added that wouldn’t work unless everyone in the project were sworn to secrecy. In this era of news leaks, he said that situation is very unlikely to hold. So, scientists try instead to stick to a protocol that includes informing the public. The 2010 IAA protocol is only two pages and covers facets such as searching for a signal, handling evidence and what to do in the case of a confirmed detection. To find a signal, first we have to be listening for it. SETI “listening” is going on all over the world, and in fact, this has been happening for many decades. The first modern SETI experiment took place in 1960. Under Project Ozma, Cornell University astronomer Frank Drake pointed a radio telescope (located at Green Bank, West Virginia) at two stars called Tau Ceti and Epsilon Eridani. He scanned at a frequency astronomers nickname “the water hole,” which is close to the frequency of light that’s given off by hydrogen and hydroxyl (one hydrogen atom bonded to one oxygen atom). In 1977, The Ohio State University SETI’s program made international headlines after a project volunteer, Jerry Ehman, wrote, “Wow!” beside a strong signal a telescope there received. The Aug. 15, 1977, “Wow” signal was never repeated, however. There have been many, many projects since then. As a taste: The SETI Institute was founded in 1984; while it may be the most famous of the SETI projects, there are many other independent SETIs at universities and institutions worldwide that have done work over the decades. One of the center’s major initiatives was Project Phoenix, which scanned nearby, sun-like stars. Currently, the SETI Institute, in collaboration with other institutes, is working on a concept called the Allen Telescope Array, which has dozens of radio dishes in northern California. In 2015, the well-known physicist Stephen Hawking and many other researchers launched Breakthrough Listen, a project that will scan 1 million Milky Way stars and 100 nearby galaxies for extraterrestrial life. While searches of alien messages aren’t ongoing in space, there have been efforts to communicate with any beings that may come across our spacecraft. The Pioneer 10 and 11 probes flew by Jupiter (and in Pioneer 11’s case, Saturn) to eventually make their way out of the solar system. Before their launches in 1972 and 1973, respectively, a Pioneer plaque was mounted on board each spacecraft. It shows the form of the human body and where the Earth is located in the galaxy. The twin Voyager probes launched in 1977 to examine the outer solar system. Voyager 2 reached interstellar space in 2012, while Voyager 1 is still at the edge of the solar system. Each of the spacecraft includes two golden records with sounds recorded on Earth, ranging from whale calls to music to the word “hello” in many languages. The record also has diagrams of the human body and where our solar system is located. Scientists also transmitted a radio message from the Arecibo Observatory in Puerto Rico in 1974. The so-called Arecibo Message includes such things as the numbers 1 through 10; the atomic numbers of elements such as hydrogen and oxygen; information about DNA; and diagrams of a human body, the Earth and our solar system. In a related field, the study of exoplanets has accelerated in recent years with the Kepler mission, which has found more than 2,000 confirmed exoplanets alone, as well as other observatories on the ground and in space. Scientists are now trying to characterize which of these planets may be the most habitable. Atmospheric studies and more detailed looks at star activity will be some of the activities scientists undertake with future telescopes, such as the James Webb Space Telescope, which will launch in 2020.